Online Web Ordering System - convenience by allowing your customers and sales reps to place orders online and integrate easily in AutoCount Accounting software or Microsoft Dynamics AX ERP software. 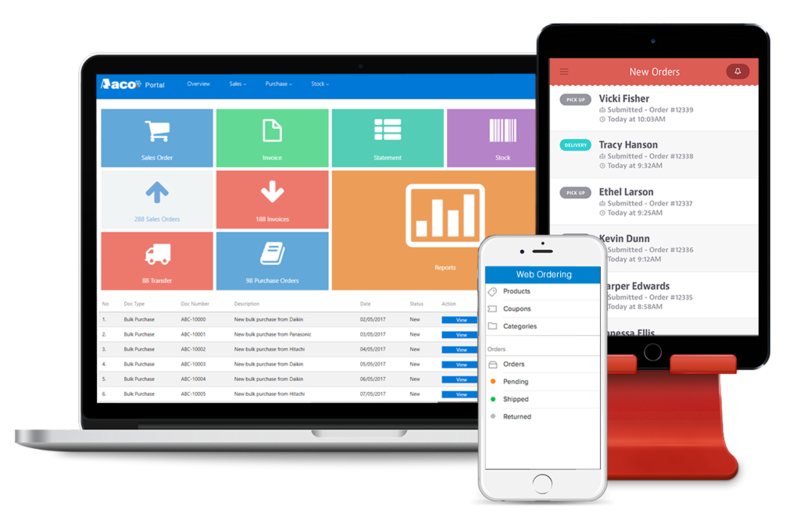 Fully integrated with AutoCount Accounting system, Daxonet Web Ordering system is a web-based inventory, order management, CRM and reporting system for small to medium businesses with multiple locations. Add multiple users with variable permissions, track inventory levels, prepare sales and purchase orders, sales quotes, handle inbound and outbound goods and regain overall the control of your company. seamlessly integrated with AutoCount accounting systems to equip reps with all the sales rep tools and information needed to make smart sales decisions. Access to up-to-date inventory levels while on the road means that you’ll never again take orders that cannot be fulfilled. Transactions captured in the Daxonet Web Ordering System are automatically transmitted for validation and sales order processing in your Dynamics AX ERP system in real time. It is fully customizable with custom tables, fields to match the level of your current Dynamics AX ERP system. Assign a future order date, split an order by delivery date, and assign multiple shipment addresses to an account. Quickly order items by attributes, size and color and so on. Ability to duplicate and manipulate past orders, order by prepacks, units of measurement, and mix and match options for speedy ordering and less inputting. Allow your sales reps from different stores/branches to capture all types of transactions – sales orders, purchase, returns, stock checks and any other custom transaction you perform. color scheme, dish pictures, and more! Search products by category, sub-category and any combination of product attributes to further narrow down results to locate your items in seconds. outstanding debts, invoices, and top selling items. We’d love to show you a live demo and see if it can fit your specific needs. Contact us now!